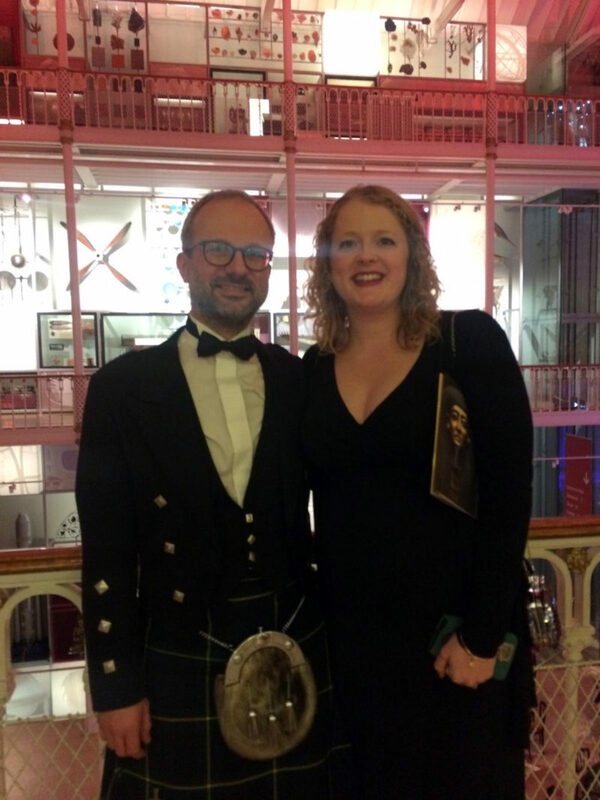 On Thursday 7th February Director Gordon Gibb and Project Architect Kirsten Stewart had the pleasure of attending a Gala Dinner held by National Museums Scotland in celebration of the completion of the 15-year masterplan to transform the National Museum of Scotland. In this piece, originally written for the event programme, Gibb gives an account of the project he came to oversee and that so many from our studio had a part in. 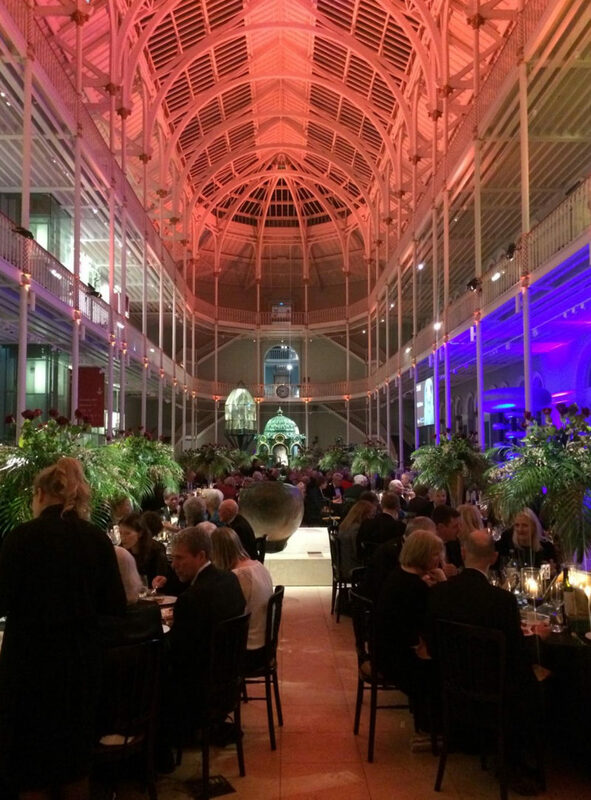 The National Museum of Scotland is a glorious building and an inspiring place to visit. But at the start of the 21st century, the venerable Victorian institution had become rather faded, particularly in comparison to the striking new Museum of Scotland building which had opened alongside in 1998. 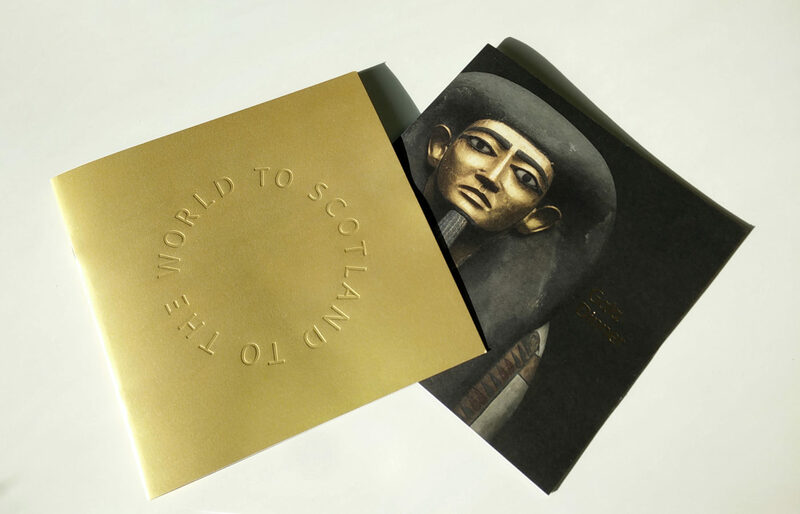 Architect Gareth Hoskins felt a strong personal connection to the Museum and was delighted when, in 2003, the Board of Trustees and Director Dr Gordon Rintoul announced his practice as the winner of the international competition to develop a Masterplan for the Museum’s transformation. It was a huge leap of faith on the part of the Museum to appoint a small, five-year-old, Glasgow-based practice in the face of a strong international field but there was an obvious meeting of minds. Created with the involvement of New York and London based museum exhibition designers Ralph Applebaum Associates, the Masterplan laid out the way in which the Museum would be made fit for the 21st century. For this to happen, it had to be extensively re-imagined for the visitors of today. The original building would be restored to its former glory and better links created to the city beyond. The displays would be integrated with the architecture, and the whole museum made accessible to all, giving visitors a vastly enriched experience. Fifteen years later, the transformation is complete. A visit now begins with a street-level entry into opened-up former cellars, the Caithness stone paving blurring the distinction between the museum inside and the public realm and new piazza outside. Light filters from above, drawing visitors up to the extraordinary 19th-century Grand Gallery, ‘a birdcage of glass and iron’. From here, visitors can see the whole Museum, the five-storey ‘Window on the World’ and glazed lifts drawing the eye to the upper floors where in the past few visitors explored. Large exhibits such as a giant elk, a feast bowl from the Pacific and the statue of James Watt signpost the galleries beyond. Previously blocked up arches and doorways have been reopened to recreate sight lines that run the length of the building. These new views entice visitors to explore further and make orientation easier. The transformation has enabled many thousands more objects to be put on display, shared in imaginative and exciting ways with the Museum’s millions of visitors. Sadly, Gareth Hoskins died in 2016, at the early age of 48. Winning the original competition was a massive step forward for the practice and for Gareth personally. He had a vision for the Museum that matched the ambitions of the Director and Board of Trustees. The transformation of the National Museum of Scotland remains one of the most important projects in Hoskins Architects’ portfolio and is one of which Gareth was immensely proud.